The Cleveland Clerks office is now accepting passport applications. You may apply Monday through Friday 8:30 - 3:00 pm at the Clerk's Office, room 103 in the Courthouse. You will need certain documents to include with your application. The latest information may be accessed on the U.S. Department of State website. If you want to apply near your home, you can find the nearest location that accepts passport applications on the Passport Acceptance Facility Search Page. 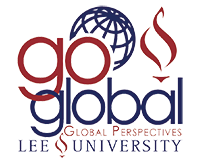 If you have any question or concerns, feel free to contact the Global Perspectives Office.